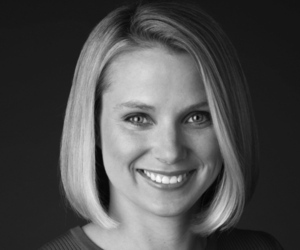 On July 16th, 2012 Marissa Mayer took over as CEO of Yahoo! and I have to confess, I didn’t have much hope for her. Not because of her, but because of the current state of Yahoo!. I’m not talking the value of the stock or the employee base. I’m talking about the fact that no one could tell me what Yahoo! was. Are they an email company? Are they a search company? Are they a news source? The short answer to all of these questions is no. They’re kind of a “used-to-be” company. Not being able to tell what a company does is a terminal condition with few exceptions. But if you’re a “glass is half full” kinda person, it’s also a tremendous opportunity. Why? Because you don’t have to deal with what I call Brand Concrete. Brand concrete is something businesses fight all the time. They establish their brand and then want to change due to shifts in the ecosystem but can’t because their brand has been established with consumers. Google is trying to become social. Apple killed Ping. Twitter is trying “anything” and it will prove to be VERY challenging to get people to see those businesses in any other way than they do now. So the current landscape has what most, including Marissa, see as a void. No one company owns the space. Marissa, having had access to Google’s data for years, knows that mobile (+social) is going to be the default state of the Internet in a few short years. (Mobile = mobile internet, smartphone app usage, Internet on tablet, tablet app usage) As apart of that plan, Marissa acquired Stamped on Thursday and will continue to acquire until she can gain critical mass for her mobile empire. When Marissa joined Yahoo!, I thought she was crazy. Crazy smart! I’m not sure any other company has a better shot at winning the mobile war. They have the financial resources. They can acquire the expertise they need. I don’t see as many companies saying “no” to Yahoo! as said no to Google – Yelp, Groupon, Path, Color, Flipboard and Twitter to name a few – because it’s more about being acquired by Marissa; not Yahoo!. Repeat after me: “M” is for Mobile Marissa . . .